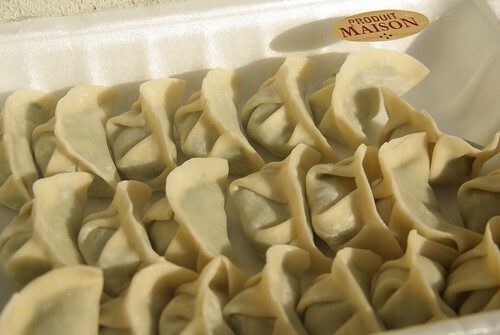 Ever craved for dumplings and too lazy to wrap your own, but too fine-bouche for frozen ones? 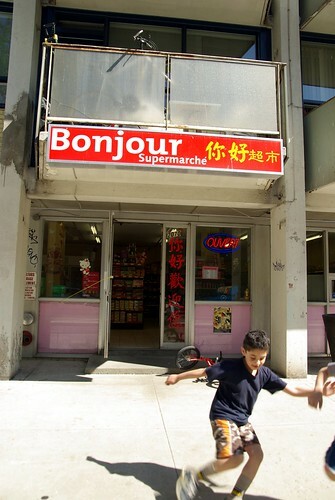 My friend Rob Parungao recently told me about this Chinese supermarket just across from where he lived, on de Maisonneuve, in that residential area west of Concordia and home to a new Chinatown 2. For $6.99 and two hours in advance, they can make you a portion of dumplings of the flavour of your choice, which can usually be anything sold in the store. On my first order there last Saturday, I had chives, pork and shrimp. To be noted that the skins aren’t homemade – but it’s still better than frozen ones. I ate six once I got home and kept the rest in the freezer, ironically. One of the co-owners told me that they opened their supermarket only eight or nine months ago. That location was in fact a laundry house or laudromat, she says. Yeah, last time I checked (last week), it was!